Baltimore, MD U.S.A- WBU and IBU ranked cruiserweight boxer Yahu “Rock” Blackwell (Baltimore, MD/16-1,13 KOs) will be continuing his return to the Association of Boxing Commissions after dominating competition in the International Boxing League. Yahu went undefeated in his professional run in the IBL where he racked up 15 straight victories. His next fight will be held May 13th in Rosarito, Mexico against an opponent that is TBA. Yahu is coming fresh off a 2nd round TKO win that he scored on April 6th 2017. He stopped Benjamin Hernandez after landing with a one-two combination that proved to be too much for Hernandez as he dropped to the canvas and was unable to continue. Yahu improved his record in the ABC to 1-1, advancing him to a combined professional record of 16-1. His next fight will be held May 13th in Rosarito, Mexico against an opponent that is TBA. “They switched the opponent on me at the last min, he was really a big guy! but I got the job done. All praise to The Most High” Yahu said in a post-fight interview. Yahu delivered a flashy performance in just the 17th fight of his career. He dominated the fight from start to finish and badly hurt the heavyweight pugilist before he got the stoppage. Yahu wants to continue getting better with every fight and build his experience as he climbs the professional ranks. He plans to maintain a busy boxing schedule, he is scheduled to fight 10 more times before the close of the 2017 calendar year. When asked about his busy schedule ahead Yahu said “I’m using these next 10 fights to sharpen up my skills and correct any flaws that I might have. In 2018 my advisor Joe Cortez is going to introduce me to the big stage and I want to be ready! The older marquee stars are coming to the end of their great careers, boxing is in dire need of fresh talent to beef up the elite ranks of the sport. 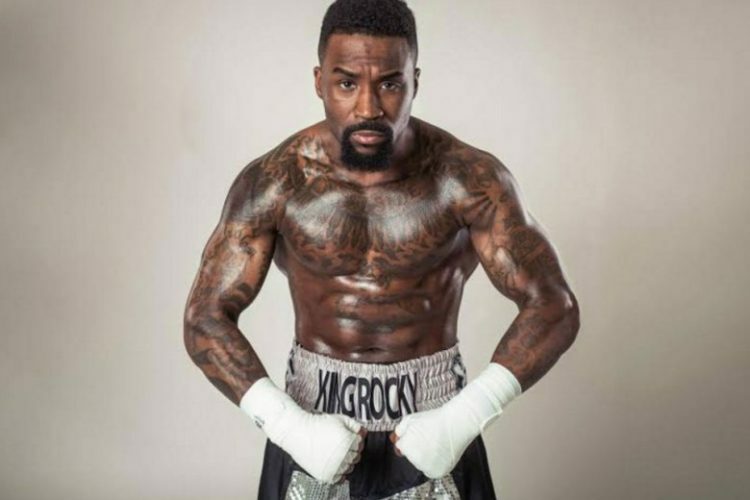 In today’s world; the highly skilled, exciting, charismatic, and handsome fighters are boxing’s biggest stars, Yahu “Rock” Blackwell is primed to continue the tradition. Make sure you continue to follow Yahu as he embarks on the journey to become a world champion.